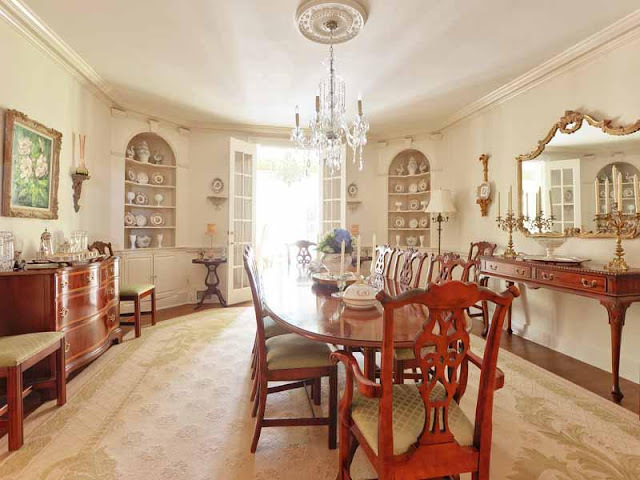 English Chippendale dining room is complimented by lovely antiques and china. I love the corner built-ins and the displays. Italian in nature - the parquet wood floors and chartreuse yellow along with the artwork and chandelier add lots of focal points. I like the mirrored wall built into the paneling in the back of the room. Dark and dramatic. 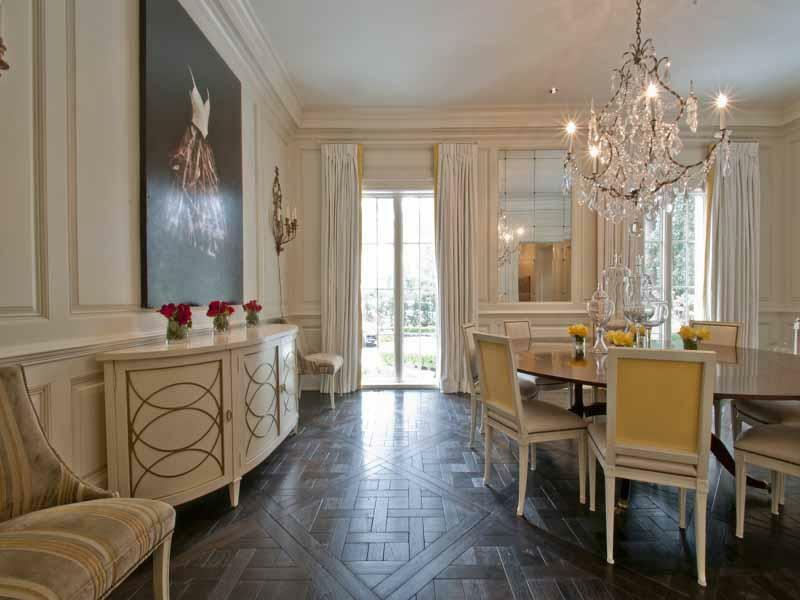 The country french furnishings aren't so country in this contemporary color scheme. Lovely french doors grace the entrance.